It has been wet this winter, and we have been renting a house in town. So not much work has gotten done. But on the warm, dry days, we get out with the chainsaw and cut trees! 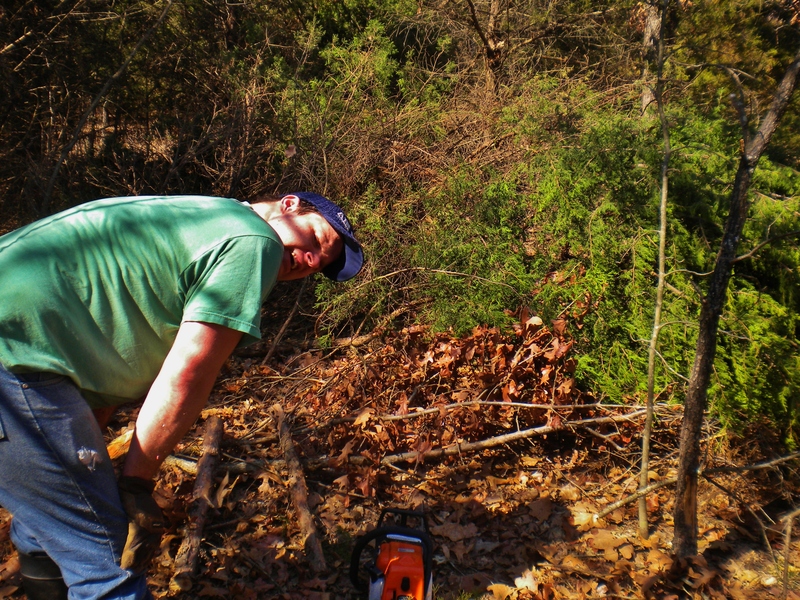 Adam cut down 6 cedars- which will become the walls, and one oak- which will be used as round lumber, yesterday. The real trick to cutting down trees at our place is getting them to fall on the ground. There are so many trees that even when they are cut “down”,they tend to stay in a mostly-upright position. Then Adam does this: After he moves the tree, he can cut it up. After he cuts the cedars into sections, I carry them to the stack to dry. My other important job is to keep this little guy from trying to fight the chainsaw. He’s learning. 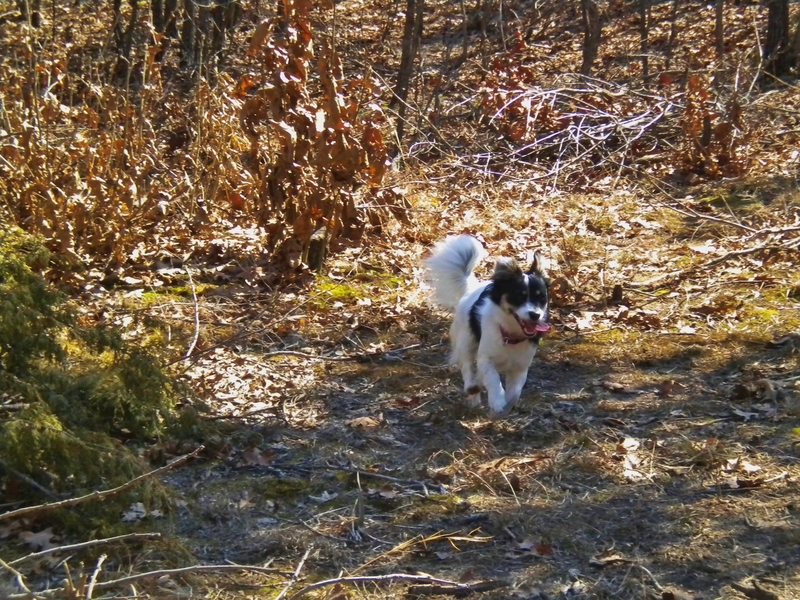 Technically, Helo is Debbi’s puppy, but he does love to romp with Buster, so we bring him along. He thinks he is helping. Buster is actually helpful in that he stays away from things that make loud noises. True love. Also, I think I got too much sun, which is kind of pleasant, seeing as it is still March. Before we know it, we are going to be too hot, but at least it won’t be snowing!